Andy Molsom is an Accredited Optometric Practitioner With a special interest in the local community. He has been accredited by the NHS after undertaking additional training to be able to assess and treat more complex conditions. This means that after seeing an Optician they will sometimes feel it necessary to refer you for further investigation on your eyes for minor eye conditions. Your referral is assessed for suitability to been seen in the Community, you will then be contacted by the central booking centre to offer you a choice of local clinicians, if they are unable to contact you then you will be given a clinician based on your location. Once we receive your referral, you will then receive a call from us here at Molsom & Associates to book your appointment. We will ensure all your information is accurate and explain everything you need to know. If your appointment will involve you having drops, we do recommend that you do not drive to your appointment and bring your sunglasses as eyes can be sensitive after the drops. The drops are to enlarge your pupils to ensure a clear image can be captured. 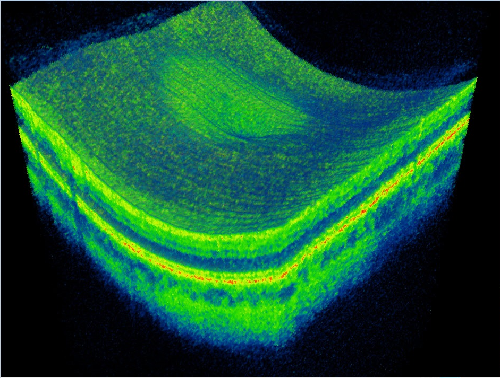 Our Ocular Coherence Tomography technology (OCT), may be used along with visual field testing and other various tests to assess your eyes. This is then followed by your consultation with Mr Molsom. This is all part of an NHS service and in place to help you the patient to be seen and treated in a shorter period of time and within the local community. You may then be discharged back into the care of your GP and optometrist with advice. We may feel it necessary to monitor you within the practice with a follow up appointment. On occasion you may be referred directly to a specialist at the Hospital for secondary care. This service has been running at the practice since 2014 and has helped many patients to be seen in the community saving time and NHS valuable funds.